Below you'll find just a few of the reviews we've accumulated over the years. 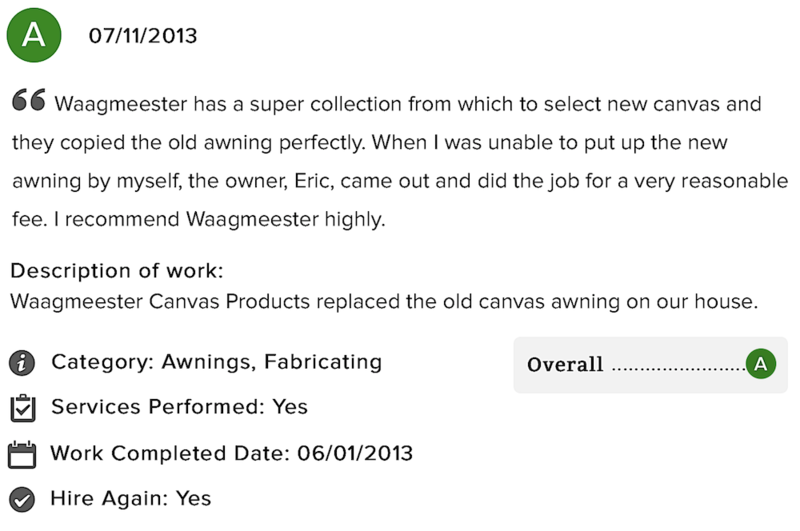 Time and time again our customers express to us how happy they were with our products and how much they enjoyed working with Waagmeester Canvas Products. This isn't by luck or chance. We work hard to provide our customers, both residential and commercial, with the highest level of customer service matched with expert quality work. 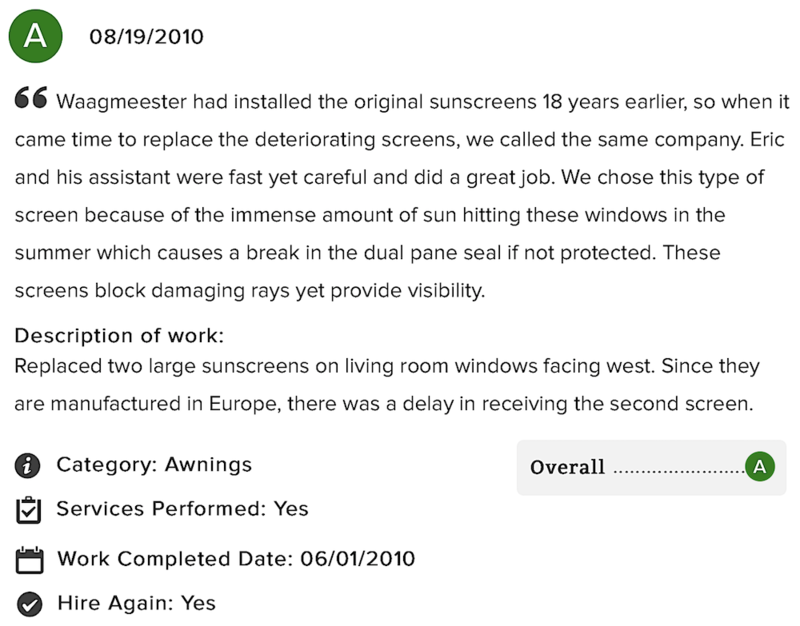 Whether it's A ratings, 5 stars, thumbs up, scores of 10 out of 10 or grades of 100%, it's lasting relationships and life-long customers we're working towards at Waagmeester. We think the reviews below show we must be doing something right! 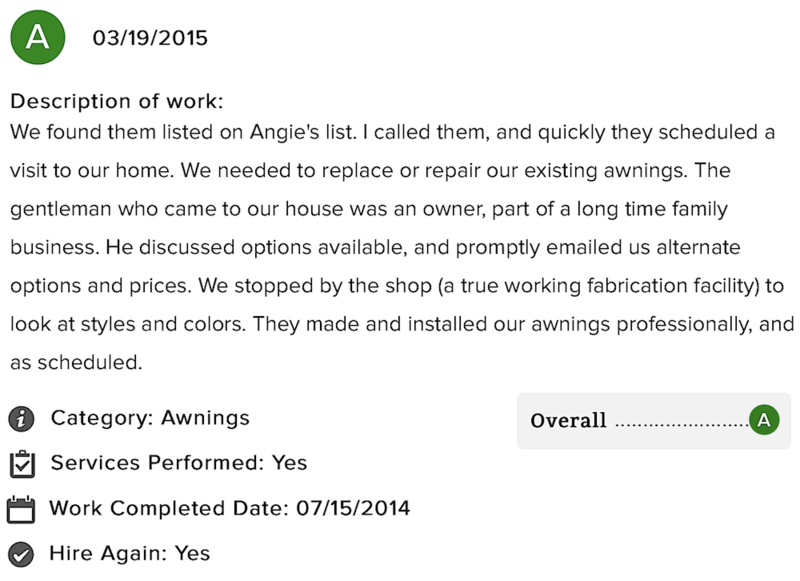 ​THIS PROJECT "COULDN'T HAVE GONE BETTER"
There's a lot of great things going on in the A-rating from Angie's list. 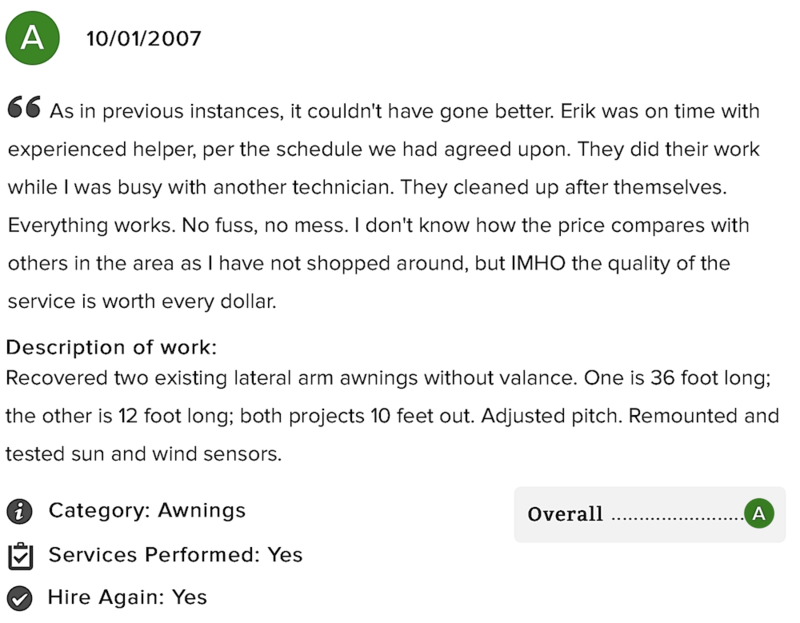 Great price, great service and it was all "worth every dollar" for this satisfied customer. Waagmeester Canvas Products invites you to find out why time after time our customers give us top marks. A CUSTOMER FOR MORE THAN 40 YEARS! ​We never get tired of seeing reviews like this one. James has been our customer for over 40 years and still has great things to say about us. At Waagmeester, happy customers and quality relationships are every bit as important as the products we design and create. As you'll see with this A-rating, this is a great example of how we like to help our customers determine what will make their space most enjoyable. 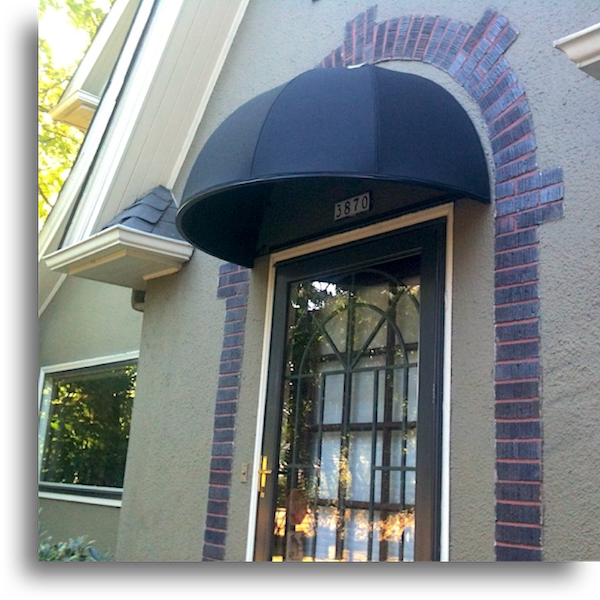 These home owner came to us with a simple idea and we were able to create a piece that was affordable, fun, eye-catching and enhancing to his outdoor space. While it may appear simple at first glance, the colors, shapes and style are a reflection of the home owners' personalities and help them along with their family and friends get even more enjoyment from the patio. While we design and fabricate a great deal of the products we sell, we're also able to custom order specialty pieces from around the world. In this case our customer had a custom order nearly 20 years ago and came right back to us when it was time for an update. 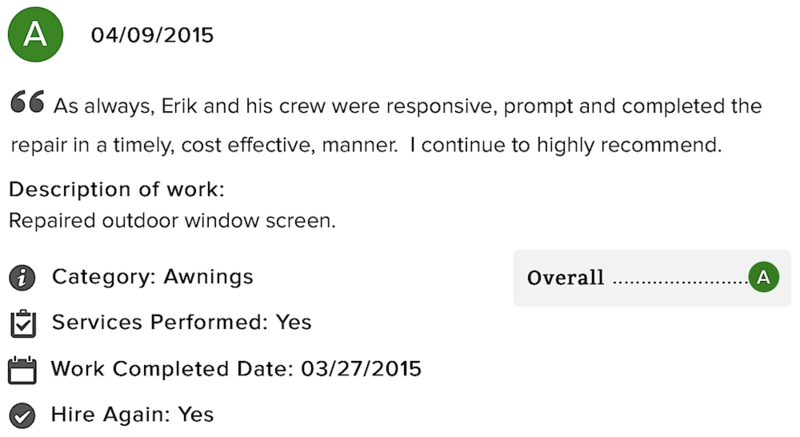 In the end we earned another A-rating with our fast and careful work that this homeowner feels was a "great job." 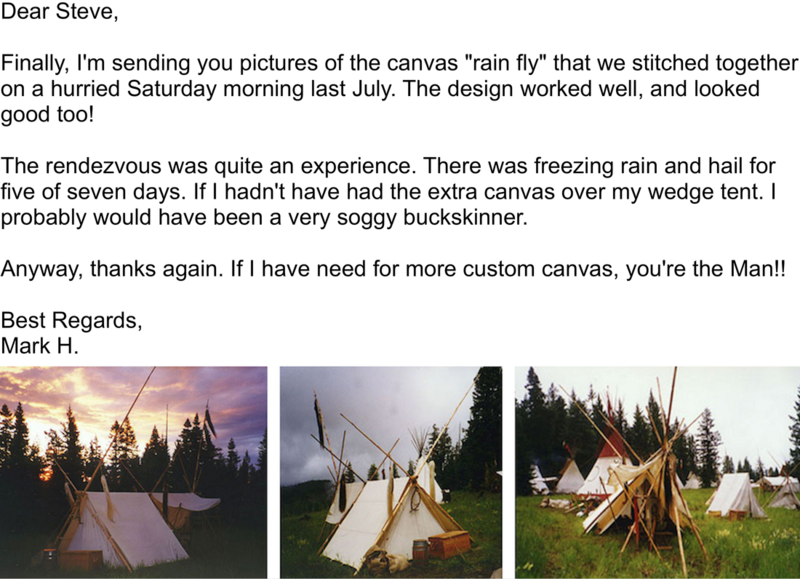 We love when our customers stay in touch with us and let us know how our custom canvas creations worked out for them! Here, Mark got the benefit of form and function with a custom made canvas rain fly by Waagmeester Canvas Products. Without it, the freezing rain and hail may have destroyed his adventure, but instead he stayed warm and dry. Modern construction and materials on this ancient design worked perfectly. 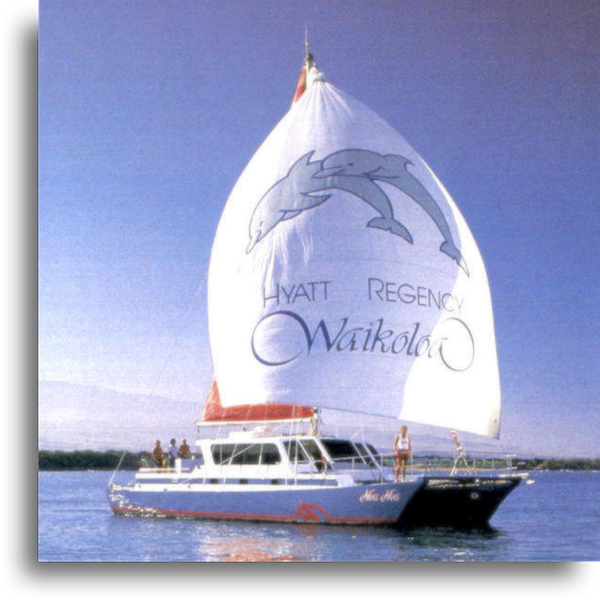 ​WE ALWAYS STRIVE TO DO "A BEAUTIFUL JOB"
Thank you Shauna for the kind words and the 5 stars! We're thrilled you're happy with the work we did. This is the level of service and quality EVERY Waagmeester customer can expect from us. When a customer starts out an A-rating with "as always," we know we're going to be thrilled to read on. 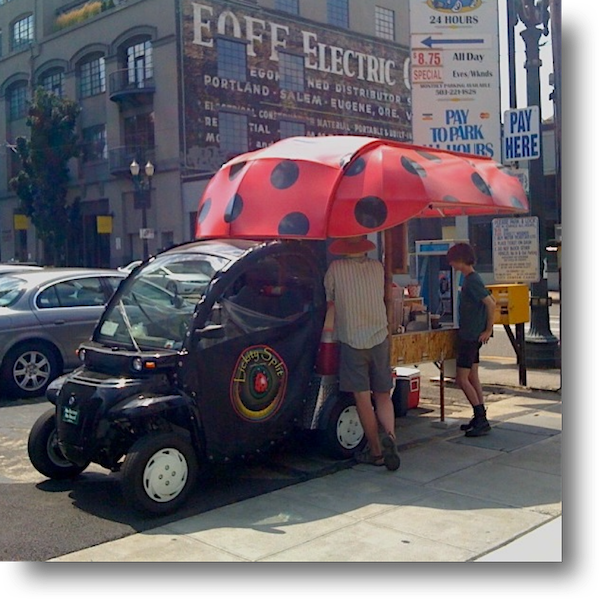 As you can see here, we also offer service and repairs. 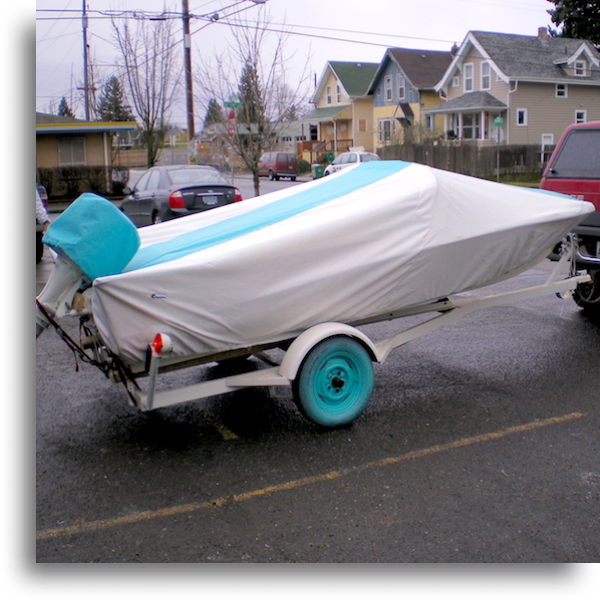 Awnings, covers, shades, sails are just a few of the products the Waagmeester team can repair in a prompt and cost effective way. WAAGMEESTER IS LIKE "AN OLD FRIEND"
In his 5-star Yelp review Boris said working with us was like working with an "old friend." There's no great compliment than when our customer think of us as their friends and partners. 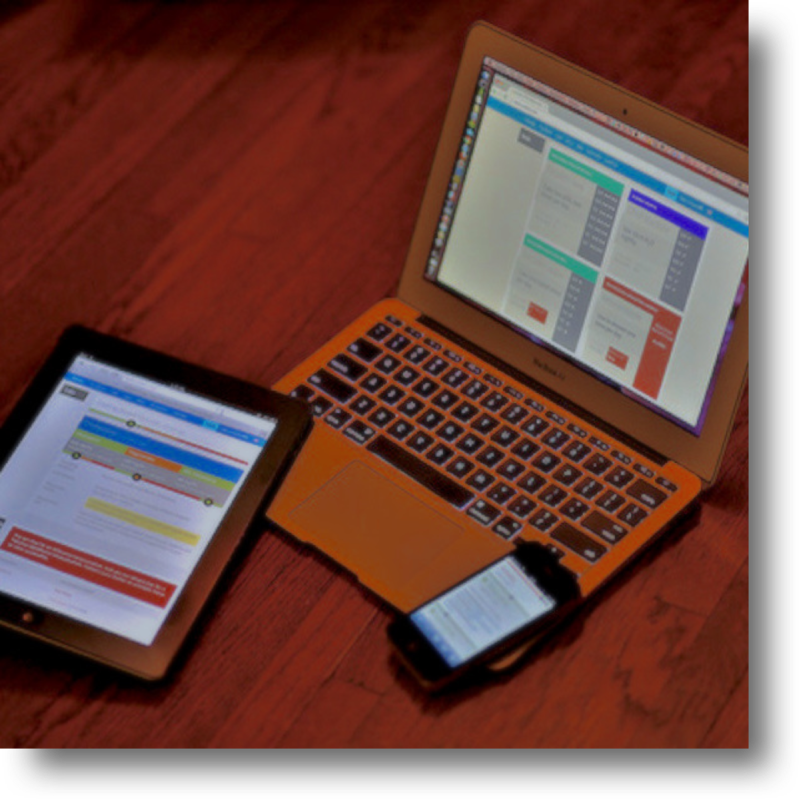 WAAGMEESTER CANVAS PRODUCTS IS HIGHLY RECOMMENDED! 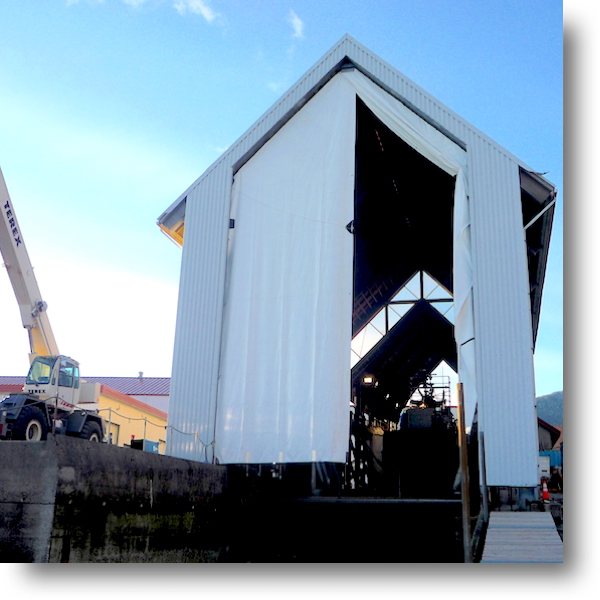 From our "super collection" to our expert design and fabrication services, the Waagmeester team has the skills, knowledge and experience to meet and exceed your needs. 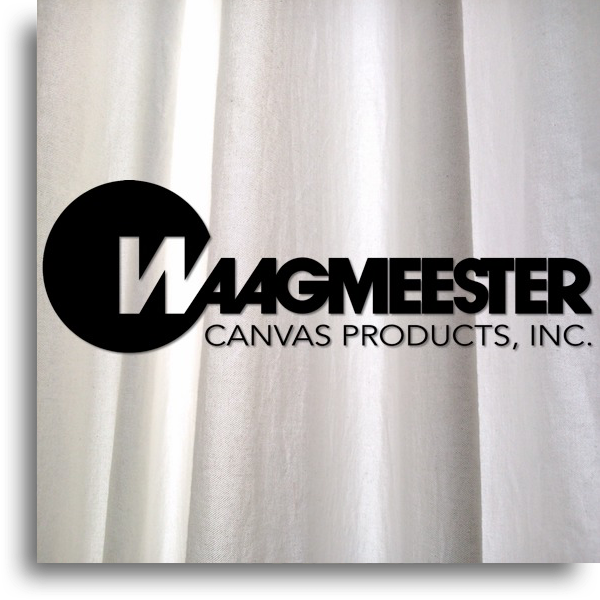 Whether it's a new piece custom designed and fabricated, an international piece special ordered or service and repair on an existing product, talk to the team at Waagmeester Canvas Products. 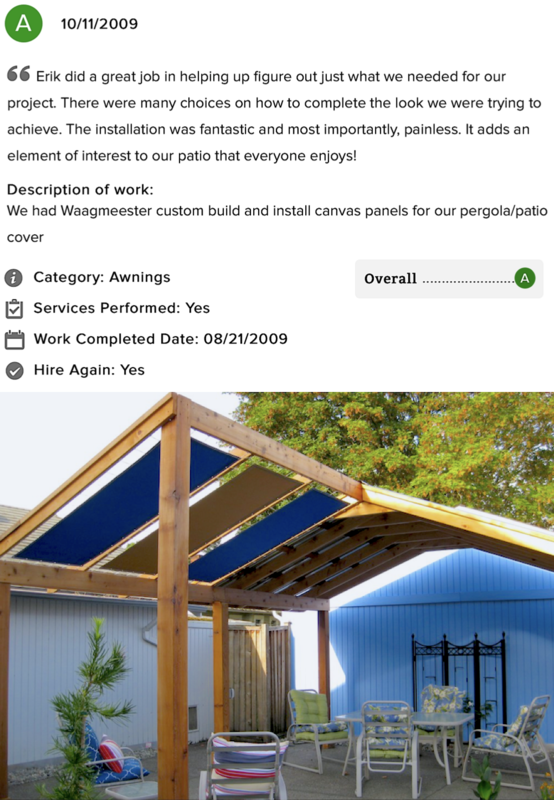 After connecting with us on Angie's List, this homeowner soon saw how different the Waagmeester team was. 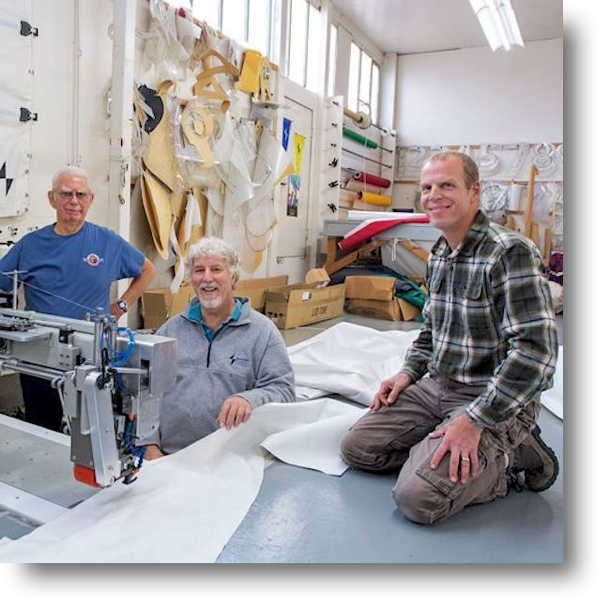 The fact that we're a true family owned and operated business with our own state-of-the-art fabrication facility let them know that we were the team for them. As always, we're flattered and humbled by the A-rating from our valued customers.